Hi pass filters, mid side ms matrix, much more.Very economical on power. eng concert live recording youtuber vlogger. It is built tough, and refined to provide the best power efficiency, smallest size, and lightest weight. JuicedLink BMC388 Features. All components have been tested and are in working order. All pictures are of the actual item being sold. The DT454 features 2 XLR microphone inputs with 48V phantom power, and 12V (power saving mode) phantom power. 4 microphone channels (2 XLR, 2 unbalanced). Headphone Amplifier. 30dB low-noise type max gain (single ended, stereo). Exoskeleton: Rigid Spine design to transfer bag weight through harness instead of shoulder/spine. New In Box. The XLR connector has a 6th pin that can be wired for a remote mic switch. Price is for one unit, total of six available. The most important part of a sale is getting the product to you in good condition. Printed user manual included. 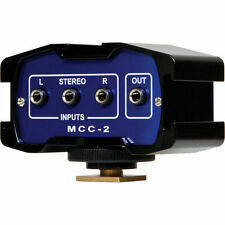 This unit can also provide up to 48v of phantom power to your microphone or audio input source. 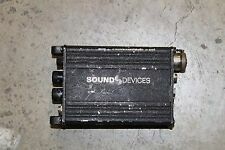 Shure UP4 Portable UHF Wireless System. Tested and Works great! Condition is Used. Shipped with USPS Priority Mail. RODE VideoMic Shotgun Microphone for DSLR with 3.5mm Jack Brand Rode Model VideoMic MPN Does not apply UPC Does not apply BrandRODE. Super-Softie | Premium slip-on microphone Windshield with Rycote’s new revolutionary 3D-Tex™ fabric covering for unparalleled sonic performance, wind-noise suppression and field durability. • High immunity to rain-soaking, and maintains excellent acoustic transparency in almost all situations Compatible with the following microphones. 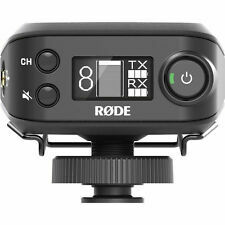 Works great for adding XLR and phantom powered mics to your DSLR set up. Headphone Input. Improves Overall Audio Quality. 48V and 12V Phantom Power. Up to16 Hour Operation. The Pistol grip features Rycote's Lyre mounting system to provide complete isolation against handling and cable-borne noises. This universal shock-mount has a soft-feel grip moulded into the clip which securely holds the microphone, preventing any slipping or twisting. The new Sachtler Rain Poncho is the ultimate weather protection for the working sound person. Sized to comfortably cover a mixer and fully-loaded audio bag like the Petrol Eargonizer. Ultimate weather protection for the working sound person. All components have been tested and are in working order. All pictures are of the actual item being sold. 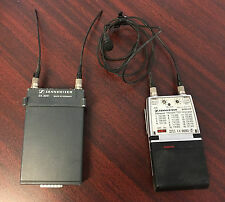 • 2 x Sony WRT-808 UHF Wireless Microphone Transmitter 808 Mic Plug On Unit Adapter. • SONY WRR855S42/44 WIRELESS RECEIVER. Condition is Pre-owned. Pulled from working environment. Power cord not included. Shipped with USPS. Shipping is always free with me, so please buy as much as you like. Feedback is very important to me. Please contact me with any questions or concerns you may have. TheRycote Softie is a slip-on open-cell foam windshield with integral fur cover. Softie windshields are available in a large range of sizes to fit most popular shotgun microphones. Virtually unbreakable mic clip accepts 19-34mm & MKH mics, 3/8” Female thread, includes Brass 3/8” shoe adapter. This was pulled as a part of a working system - minor scratches. I have tested it and it is fully functional. Here is a used Juicedlink CX211. 2 XLR inputs. User Manual. Made in USA. 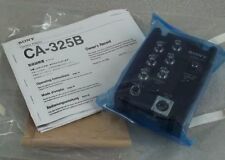 Includes: ~9" cable with 3.5mm plugs, 1/8" allen wrench key. Weight: 12 ounces (no battery). Mounts to top of tripod. Mounts to bottom of camcorder. Nicht nur gut aussehen, sondern auch gut klingen. Wer viel fliegt, weiß das zu schätzen. Die Elektroakustik wurde im neuen TC-50AS neu entwickelt. Großflächige Lautsprecher, fein abgestimmt in der Widergabe sorgen für einen hervorragenden Klang. 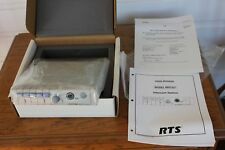 $---Pair of Allen Avionics video hum eliminators HEC-5000 #1 ---Used ---We have no means of testing ---Overall in good condition ---Show normal signs of use. It's universal design allows it to accept almost any mic from handhelds to shotguns. All units are sold without manufacture warranty information. we record serial numbers/parts to avoid Fraud. EW100 G2 Transmitter/Receiver Set. The one you get may not be the one in the picture. Assorted Audio cables and Connectors. All Excellent condition. Single card TDM multiplexer for four synchronous or asynchronous 270Mb/s SDI, SDTi or DVB-ASI video signals. Signal transport over fiber uninterrupted by loss of any SDI, SDTi or DVB-ASI input feed. Supports single-mode and multi-mode fiber optic cable. 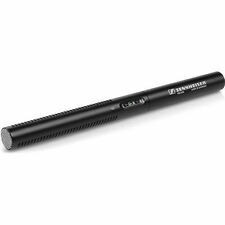 • Low impedance mic input female 3 pin XLR. All integrated circuits, compact, lightweight. It features a built-in clipper limiter circuitry. • Die cast aluminum body with black texture finish. • Five 600 ohms balanced line outputs male 3 pin XLR. Sony uwp v2 Wireless Mic. Condition is Used. Shipped with UPS Ground. Like new. Used just couple times.